Arizona Game Fair is proud to announce Charlene Bell as the first prize winner of the 2019 t-shirt design contest. Her Arizona flag inspired shirt will be available for pre-order during registration. Limited quantities will also be available at the show. Charlene’s design was picked by Arizona Game Fair staff and members of the gaming community from 20 entries. Charlene wins a $250 cash award and will be paid 8% of the shirt revenue. Charlene’s other work can be found a Inklingsaz.com. Runners up for the contest were Quentin Wiley and Richard Newby. 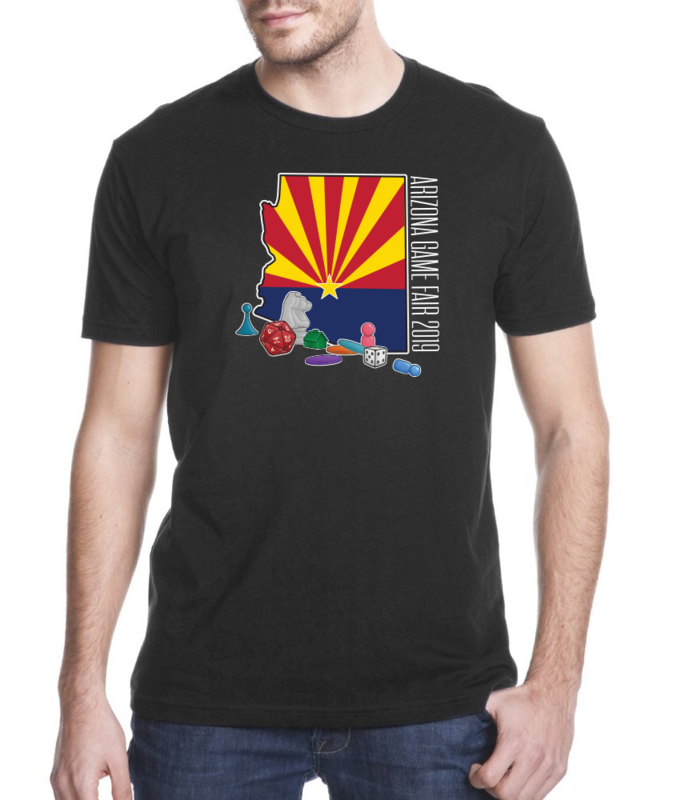 They will each receive $50, badges to Arizona Game Fair, and a free t-shirt. Arizona resident Charlene Bell is a lifelong, self-taught artist and entrepreneur who loves colors and graphic design. 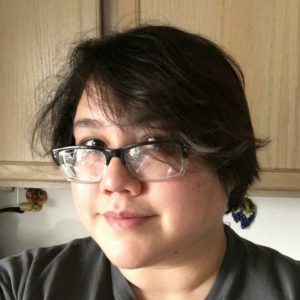 She draws lots of things and sometimes they wind up on shirts and stickers and prints. All her passions are happily put to work daily through her growing small business. We DARE you to escape!